What can Program Supervision Do for Software Re-use? 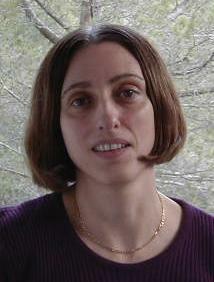 Sabine Moisan has been a Research Scientist at INRIA Sophia Antipolis since 1983. She is now working in the Pulsar team. She graduated as a Computer Science Engineer from ENSEEIHT (Ecole Nationale Supérieure en Electronique, Electrotechnique, Informatique et Hydraulique de Toulouse). She received her Ph.D. in Computer Science from the University of Toulouse (France) and her HDR (Habilitation à diriger les recherches) from the University of Nice-Sophia Antipolis. Her research interests cover Artificial Intelligence and Software Engineering, more specifically knowledge-based system (KBS) design through software techniques such as reussable components and modeling. She has been involved in the development of a commercialized knowledge-based system generator: SMECI, dedicated to engineering design. She has also developed several other generators, dedicated to program supervision , classification/recognition and model calibration. She is responsible of the LAMA software platform, for developing both engines and knowledge bases for knowledge-based systems. This platform is composed of several configurable toolkits to generate expert-oriented tools and of a object-oriented component framework to design KBS engines. She has been teaching UML modeling and meta-programming for about 10 years. She is currently working on Model-driven Engineering (MDE) and Models at Runtime applied to the design, deployment and runtime adaptation of Video Surveillance systems.